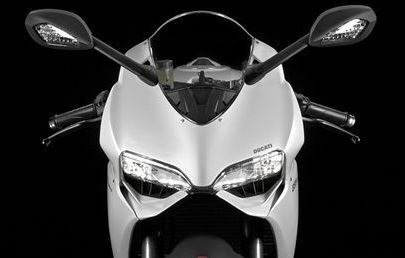 ZigWheels.com has found out that Ducati has stopped accepting bookings for its Panigale range of motorcycles in India. According to the dealership they have stopped taking bookings for the Panigale range of motorcycles as it was requested by the Italian manufacturer. Ducati is all-set to introduce nine new motorcycles at the 2015 EICMA motorcycle show scheduled next month in Milan, Italy. Among this slew of new motorcycles is the Ducati 959 Panigale that was recently spotted testing. This is kind of an indication that the entire Ducati Panigale range might be overhauled soon with the new Ducati Panigale motorcycles being introduced in Italy next month. The Ducati 899 Panigale has been priced at Rs 13.39 lakh (ex-showroom Delhi). The Ducati 959 Panigale is based on the 899 Panigale, with several design upgrades. The most conspicuous of these is the redesigned front cowl. The air scoops are bigger on the 959 than on the 899, and the fairing is joined under the nose, unlike its predecessor. The 959 Panigale retains a double sided swingarm like the 899 and other cycle parts, like the wheels, brakes and even the exhaust system, also seem to have been carried forward from the 899. What we don’t have any details of so far, is the engine. The 899 Panigale’s engine makes about 150PS and 99Nm of torque. With the 57cc bump in displacement for the 959 Panigale, expect a slight increase in power and torque output as well; we assume in the region of 165PS and 105Nm. Other new additions expected to the Ducati family are a new cruiser motorcycle with belt drive, new variants of the Ducati Hypermotard and a rumoured Scrambler 400. We will be covering the 2015 EICMA show and will get you all the updates live from the show.